According to the Bible, when Jesus spoke, he often attracted large crowds. Churches and religious organizations of all denominations now have a captive, potential audience approaching 1 billion people on Facebook. Talk about a sermon on the mount! Churches that can adapt to the most popular current trends, including the use of social media as marketing tool, stand to spread their messages far and wide. If there was once a taboo around using secular techniques to attract an audience, these concerns appear to be less of an issue today. Here are three real-world examples of how churches and church-related groups are using the power of Facebook to build larger and more engaged audiences. Close your eyes and think of a church. Chances are you probably visualize a pastor or a pulpit, not a logo or a banner ad. The Academy of Preachers — an ecumenical organization based in Louisville, KY — hopes to change all that. Since its inception in 2009, the Academy of Preachers has employed a branding strategy normally seen in more commercial organizations. “I’ve been with Academy of Preachers for just over five months,” says Charissa Acree, Director of Marketing & Communications for the Academy of Preachers. Before she joined the organization as a senior employee, the Academy was a client of her PR firm “since the very beginning,” says Acree. The Academy’s history of thinking in terms of positioning, public relations, and branding has enabled it to stand out among other ecumenical organizations online. “Most churches and religious organizations don’t have a cohesive brand,” Acree says. This can present a real challenge when you’re trying to target a specific audience with your brand message. “Our brand trends toward people 14-28 years old. Facebook has been an excellent platform to deliver our message, given the large number of people in that demographic who spend time on Facebook,” says Ms. Acree. Charissa points out that the Academy of Preachers knew “well in advance” about Facebook’s March 30 mandatory switch of all Facebook Business Pages to the new Timeline layout. “We took this as an opportunity to reinforce our branding with the added real estate that the Facebook Cover image provided,” she says. Since the Academy’s membership and core operations are event-driven, its next big national event is prominently featured — using the organization’s red and green corporate colors — as its Timeline Cover. 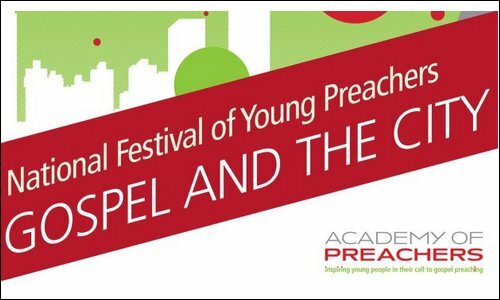 Acree points out that, “this image generates a lot of inquires about our event and membership opportunities,” adding that the corporate-style branding approach has been an immensely successful marketing strategy for the Academy of Preachers. As a result of its successful Facebook branding, the Academy of Preachers Facebook Page generates a lot of Likes. “A lot of our followers would like to do more than just like our Page,” Acree says, “but they may not be comfortable talking about their faith with 1,500 other fans.” Drawing on her PR background, Acree says that “every company wants to generate interaction right on the Page,” but she acknowledges that in some cases and for some organizations, this just might not be possible. “In our case, we really have to build trust with people before they’re willing to talk about their faith in an open forum like Facebook,” says Acree. To accommodate this, the Academy has recruited a team of six volunteers who manage and administer their own private Facebook Groups — all of which are clearly associated with the Academy. “Our volunteers seek out and respond to fans, not only on Facebook, but across all of our social media platforms,” Ms. Acree says. 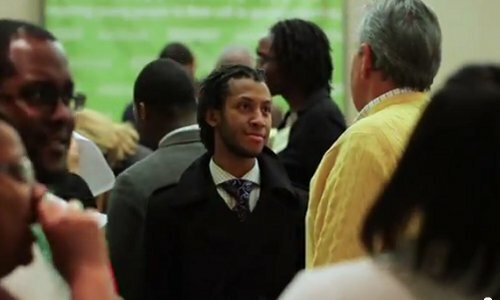 The volunteers offer private invitations to anyone who’s interested in engaging in a more intimate dialog with the Academy. Group members can participate in discussions about upcoming sermons with pastors, or simply participate in the sense of community that comes from associating with people who have common interests. The Academy’s Groups range in size from 20 people, right up to the largest Group that has 77 members. “These numbers are small enough to foster some real, meaningful dialog that wouldn’t be possible on the main Page,” says Acree. She advises that Facebook Groups are a great way for any organization to engage its fans where privacy and trust issues present stumbling blocks to engagement. Seeking to increase its profile and help more people, church advocacy and support organization, Catholic Extension, recognized that it needed to embrace contemporary tools like Facebook in order to attract a wider audience and achieve its mission. After trying a few initiatives on its own without much tangible success, Catholic Extension hired an external marketing firm to see if it could help the organization raise its profile on Facebook. 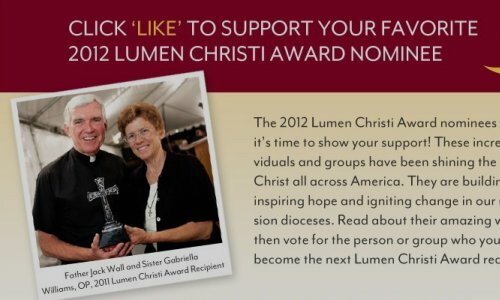 Taking a page from popular contest software available on Facebook, Catholic Extension deployed a voting strategy where visitors to its website could vote for their favorite individuals and groups who they felt were making the most positive impacts in their parishes. Using one of Facebook’s officially sanctioned applications, Offerpop, website visitors who click any of the voting buttons are channelled to a landing page where they can vote for that individual. Votes can be posted to the voter’s Facebook News Feed and shared on a variety of other social media outposts. Before Catholic Extension embarked upon this marketing initiative, it had 300 registered Likes on its Page. Just two weeks after deploying the voting campaign, it had already received over 4,800 votes and 4,700 new Likes. Catholic Extension found a way to put a religious spin on a process we’re all familiar with — voting. However, this innovative way of engaging website visitors and organically encouraging them to engage with a Facebook Page is a strategy that could work for any organization. 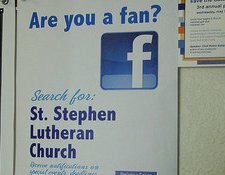 Know of any churches using Facebook in creative ways? Let us know in the comments below.